It's here, it's here! I can't wait! Not only is it the weekend, but it's also extra happy because we've got nine days off. Safe to say that it couldn't have come soon enough, and that a lot of us teachers were having to really push to survive the week with some wound up kiddos. There's lots to be excited about this week, as well as some big news, and a huge giveaway at the bottom of the post. Make sure you check it out! Even if you're not a big basketball lover like I am, March Madness can still be a lot of fun. 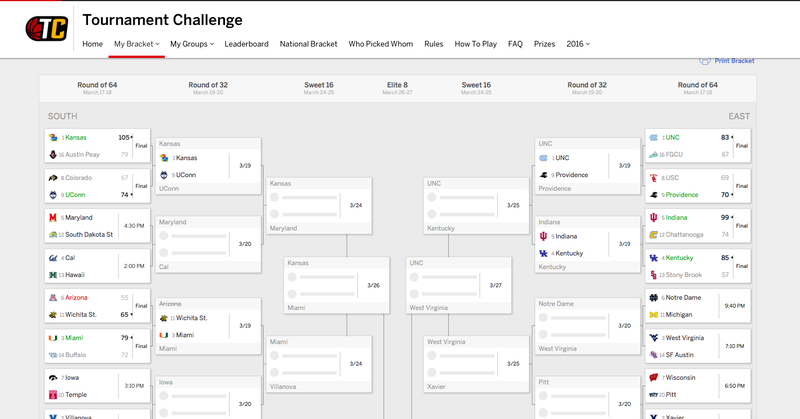 Let's face it, many of the people who have the best brackets really have no idea what they're doing. I always do a bracket at my school, along with one in a family pool for a little fun competition with my hubby. 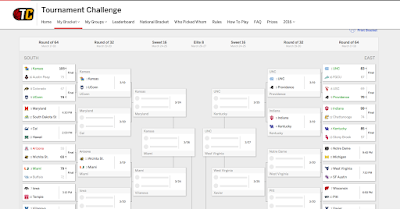 This year I filled out some with my students as well, so I've got four brackets to follow. It makes it a lot more fun to watch every game, and you feel like you care a little more! If you've been following along in my last few Friday updates, you know that my school's girls basketball team has been making quite the run in the post-season. From coming back from a sixteen point deficit, to beating teams they've had to play four times, they've truly played their hearts out and made us all so proud. We made the trek to Columbia yesterday for the semi-final game, and sadly they did not come out victorious. There were a lot of crazy things in the game that could have completely changed the outcome in our favor- they just didn't. While a state championship won't be happening, they are still playing for third this morning- which is pretty dang good if you ask me! I'm excited about spring break for ton of wonderful and totally valid reasons, but my biggest reason would have to be that we just so desperately need some time away to relax. Often times, our best form of relaxation is getting away from everything else around here: a little escape from the busyness. 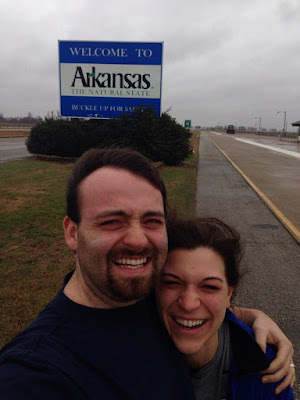 I can't wait to spend hours exploring cities (both familiar and old to us both), as well as chalk up some new state sign photos around the country. Thankful to have some time to play and make memories with my hubby in this sweet time of our lives. If you remember reading 16 Things I'm Excited about in 2016, then you may recall my excitement (and hope) that we would get the Companion Pass for the rest of 2016 and 2017. I'm happy to report that as of this month we are officially Companion Pass holders (and that's without either one of us earning points by traveling for work). We didn't even have to buy a car. This means that one of us flies free for the rest of the year and ALL of 2017, and the other has about 110,000 points to work through! I may share a post later on about how we accomplished this, but for now I'm dreaming of all the awesome trips we already have planned for the next year and eight months. Lastly, I wanted to leave you with a chance to put a little extra cash in your pocket! In honor of my friends Summer and Chelsie's birthdays, I'm going in with a whole bunch of amazing bloggers to offer you the chance to win a $300 Target Gift Card (because who wouldn't be able to spend that on some pretty amazing things?!). In order to earn entries, all you have to do is log in and complete some of the tasks below (like following someone on Instagram or Twitter), and you're set! No strings attached! Good luck! I'll be taking a spring break from the blog this week as well, but don't forget to stop by and check out the Moments Guest Post that will be coming to you on Wednesday. Have a wonderful weekend! Hope you have a great spring break! It's nice to get away from everything for awhile. How fun! Enjoy your spring break! Thanks, Greta! We loved it! Oh wow! So many things that make this a HAPPY happy friday for you! Enjoy every second of your spring break! It's nice to be able to let go and just get out and have fun!! It was the happiest! Struggling a bit to be back ha. Yay for March Madness! And for getaways. We're headed to the beach, just the two of us for the last time in who knows how long, and it's possible I'm unreasonably excited. Couple time is the best! I hope the beach was amazing!! Thanks Trish, it was the best for sure! Wow, that's a huge giveaway! :) I hope you're having a wonderful time enjoying the coming in of Spring. Thankful that God revives the earth every spring. It was definitely a huge giveaway!! I'm with you- so thankful that he does! I hope you enjoy your time off! It's always nice to have some time off to relax. How awesome about the Compassion Pass!! I've never heard of that before. The Companion Pass is amazing! I'll share more about that soon! Hope you have an amazing spring break getaway!! We had a blast, Kelsey! Thanks! I finally learned about brackets this year, my husband gave me a little lesson, it was fun and now I want to make brackets for everything, lol. That is so fun! I'm glad you enjoyed it. And brackets can make everything more fun! The companion pass thing is so cool! I'm a big fan of anything that makes travel cheaper! Have a wonderful Spring break! Ours doesn't start until next Friday, but I'm OK with that. I'm bummed because my team (AZ) is already out of the tournament. 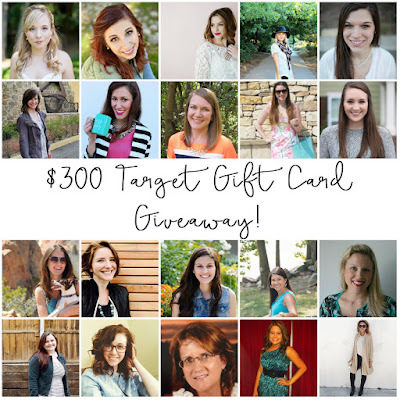 Great giveaway...I entered! I'm excited to read about your road trip!! Hope it was great!